​Andros Townsend could miss Crystal Palace's trip to Tottenham on Wednesday, with the winger emerging as a fresh doubt due to a hand injury. 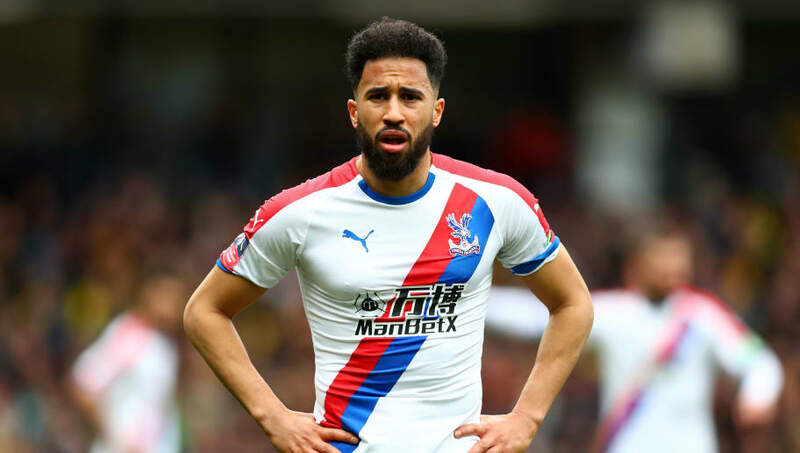 The England international is thought to be fit for selection but his spot in Palace's starting XI is in danger following the knock he picked up during the 2-0 victory over Huddersfield on Saturday. According to the ​Daily Mail, Eagles manager Roy Hodgson could elect to push Jeffrey Schlupp into a more advanced role if Townsend is not available to feature from the outset. Wednesday's fixture acts as the grand opening of Tottenham's new stadium and Townsend will understandably be gutted if he does miss out, having come through the north London club's academy as a youngster. Townsend was a Spurs fan growing up and was looking forward to the fixture, having made 93 appearances in all competitions for the club, scoring 11 goals before joining Newcastle in January 2016. The injury is a blow for Palace, who moved up to 13th following their win against ​Huddersfield thanks to strikes from Luka Milivojevic and Patrick van Aanholt. WEATHER: Afternoon sunny spells will be followed by showers becoming more widespread through the evening. These could be heavy with hail and thunder. Palace's trip to Spurs is the new stadium's first Premier League game, with Tottenham previously hosting an Under-18s match against ​Southampton and a legends fixture against ​Inter at the £1bn ground. The only confirmed absentee for ​Palace is Mamadou Sakho, with Hodgson expected to name a strong starting XI against an out of form Tottenham side chasing a top four finish. ​Spurs are without a league win since February and lost to Liverpool at the weekend, with Moussa Sissoko blazing a glorious chance over before Toby Alderweireld's own goal.